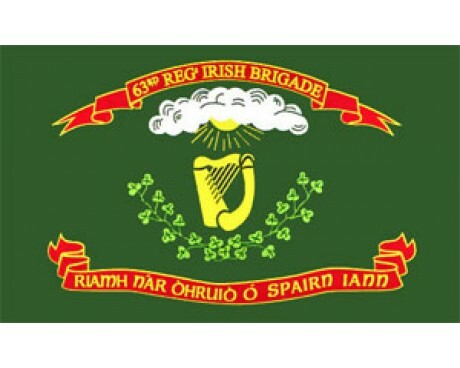 The Irish brigade flag and Irish brigade regiment flags generally share a very common design that includes an Irish green or kelly green background. 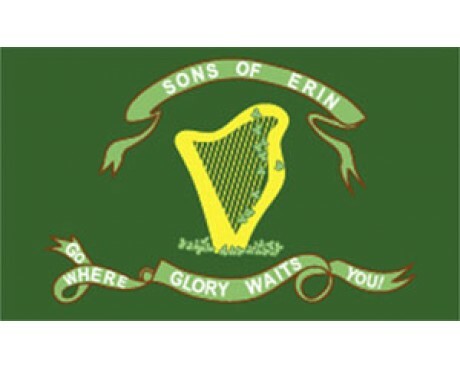 Many Irish battle flags also feature a white cloud with a harp over the top and a golden lightning shooting from out of the cloud. 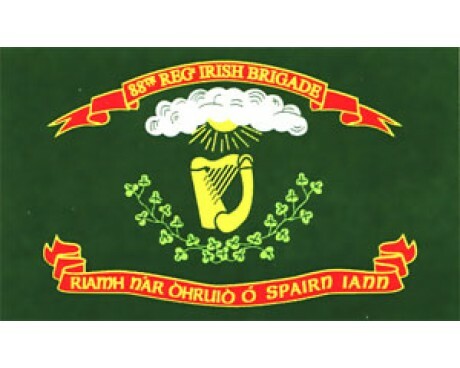 The various Irish infantry brigade regiments had unique identifiers at the bottom of each Irish brigade flag, but generally the Irish infantry brigade regiments mimicked each other's designs. 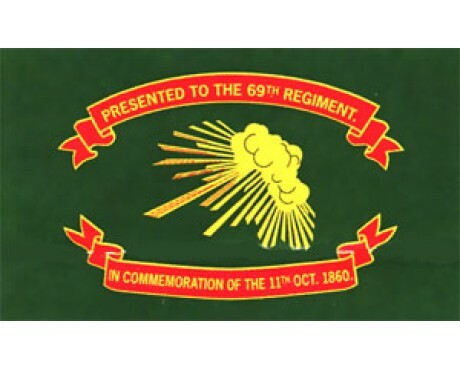 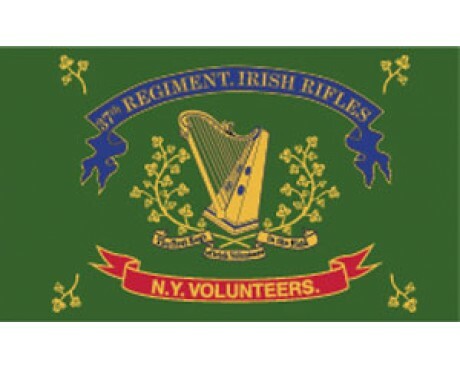 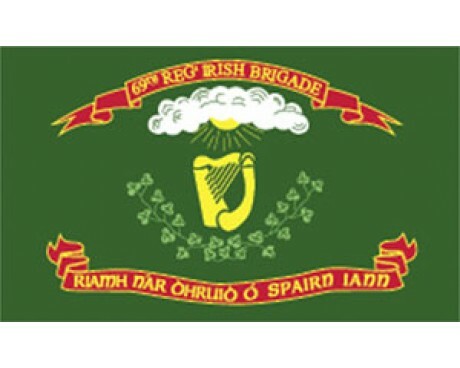 Each Irish brigade regiment carried their Irish brigade flag into battle, so the flags became a rallying cry for the Irish infantry brigade regiments. Much Irish blood was spilled on the Irish brigade flag for the good of the Union, and many an Irish brigade regiment fought proudly to keep their flags aloft. Represent your preferred Irish brigade regiment with pride! 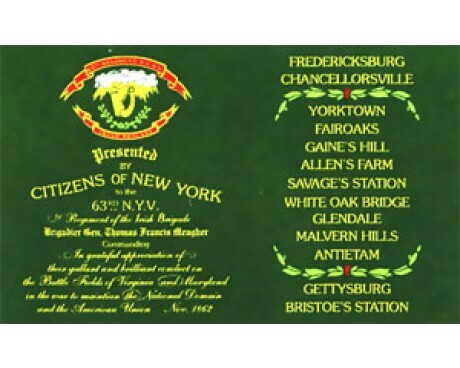 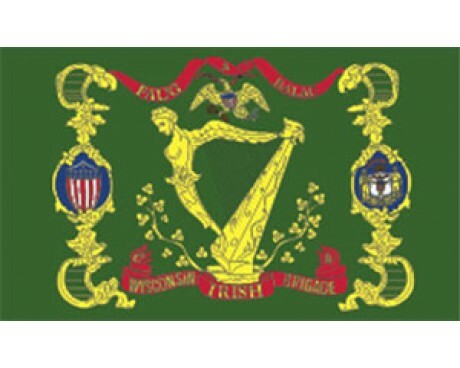 At Gettysburg Flag Works, we carry a variety of Irish battle flags including the 69th Irish Brigade Regiment Flag, 1st Irish Brigade Regiment Flag and a number of other Irish battle flags from the Civil War. 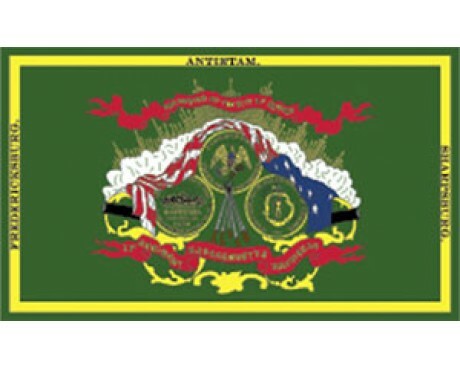 We have multiple styles of brackets and flagpoles to choose from to keep your historical unit flag flying proudly. 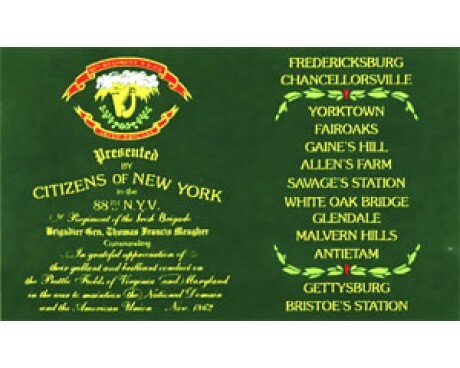 Looking to make an impact statement? 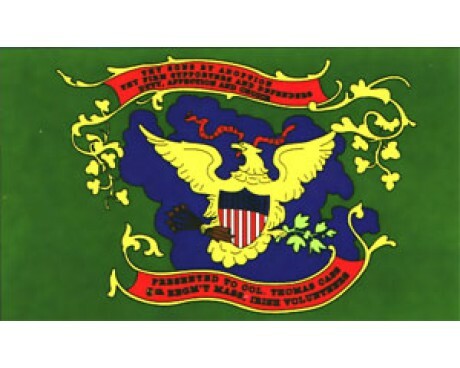 Consider getting a quote from one of our experts for an in-ground 20’ flagpole. 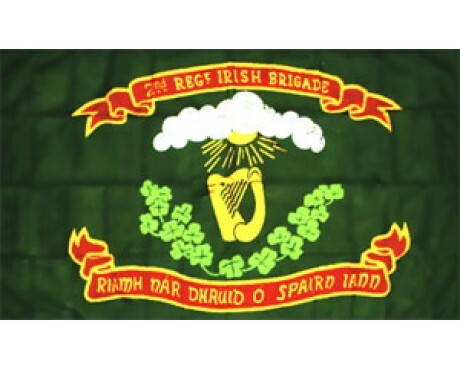 They look fantastic in front of the house or workplace. 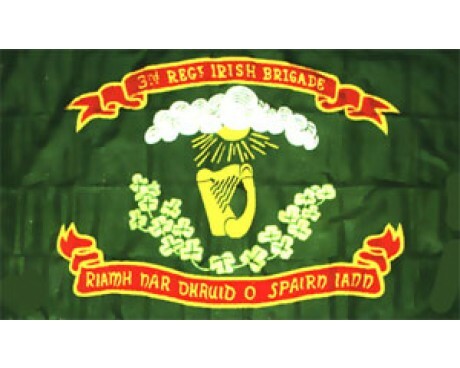 Customers who are interested in Irish brigade regiment flags were also interested in our custom flag – we can custom make your specialized guidon or brigade flag in historically accurate materials such as cotton. 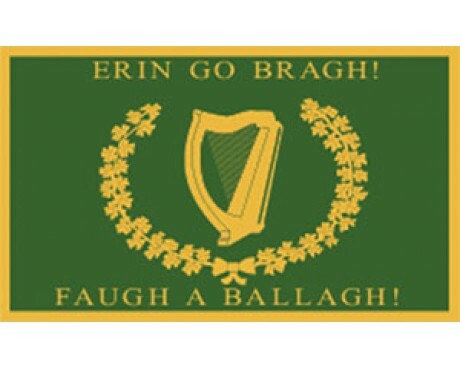 Have questions about one of or Irish flags or creating your own custom flag? 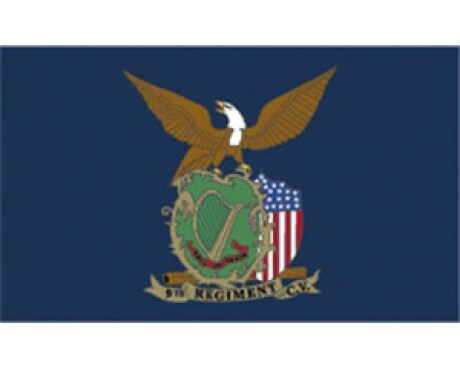 Contact us online for more information today!